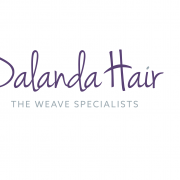 Great news for all our Dalanda Hair fans, we have a new website. You can now read up on our latest news, see what previous customers have had to say, view our gallery and contact us with just the click of a button. https://dalandahair.co.uk/wp-content/uploads/2018/04/Dalanda-Hair.png 1456 2828 dalandadiang http://dalandahair.co.uk/wp-content/uploads/2019/01/Dalanda-Hair-1-300x126.png dalandadiang2018-04-23 22:24:422019-01-01 20:35:56Dalanda Hair has a new website!